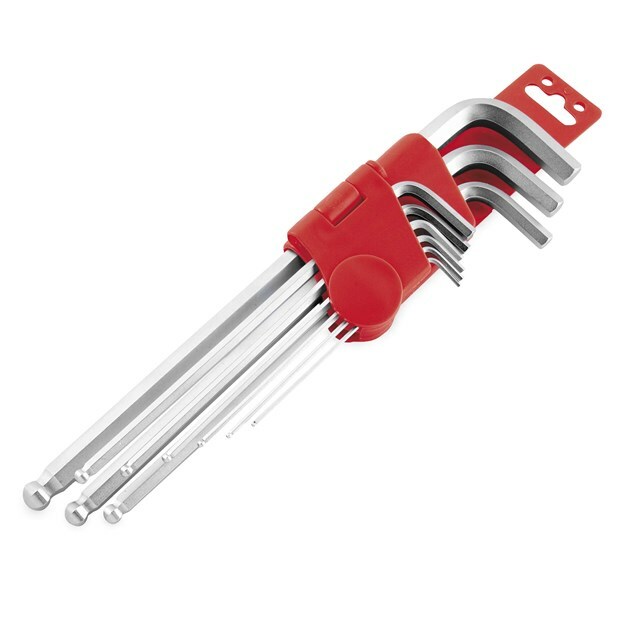 Made from precision-drawn, chrome-vanadium tool steel, the BikeMaster® 9-Piece Ball End Hex Wrench Set and Holder features a bead-blasted surface for a better grip and a corrosion-resistant coating. 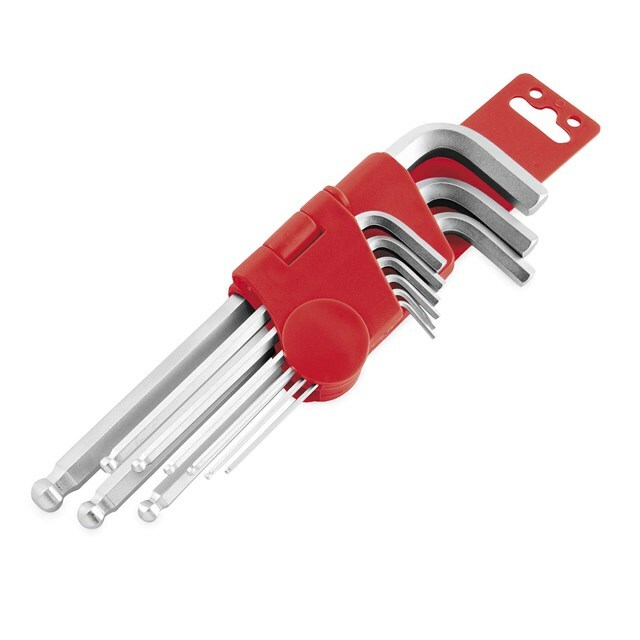 They are extra long with ball end, allowing an angled reach and access to obscured bolts. It comes with a durable holder and manufacturer’s lifetime warranty.